What happens you read a novel that combines an Indiana Jones style of adventure with a well-detailed and chronicled history of early Christianity and mixed with a female protagonist that is a combination of Lara Croft from Tomb Raider and Black Widow from the Avengers? You get Pentecost by J.F. Penn! J.F. 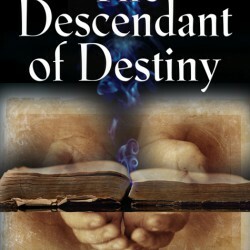 Penn is a well-known public speaker and indie author of both fiction and non-fiction. I have been listening to her Creative Penn Podcasts quite a bit (which I highly recommend for self-published/indie authors) and decided I would try out one of her novels. 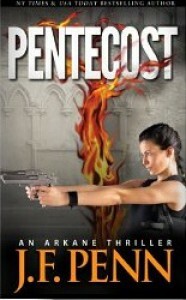 Pentecost is the first book in the Arkane Thriller series featuring Morgan Sierra, an academic in theology and psychology at Oxford University. She gets drawn into a plot where stones that where supposedly left by the twelve apostles of Jesus after their deaths are wanted by a madman named Joseph Everett. Everett wants all the stones to help restore his mentally ill brother’s life. He has kidnapped Morgan Sierra’s sister, Faye and niece, Gemma as ransom in order to get the academic’s cooperation. Also, there are two religious organizations that also wants the stones and Morgan is caught in the middle of their machinations. I will not give away anymore of the plot. However, I found Pentecost to be an enjoyable, action-filled page turning novel with some well researched history of early Christianity intertwined. Penn, who has a master’s degree in theology, knows her subject well and it came off quite believable in the novel. Pentecost will be compared to books of Dan Brown because of the subjects that both authors are covering and written in the same genre. However, I hope there is a Morgan Sierra movie in the future to show how different she is from Robert Langdon. J.F. Penn has written a solid, debut novel and I will be looking to reading the rest of the books in the Arkane series.